One of Vienna’s enduring traditions, along with its coffee houses, boys’ choir, imperial palaces and museums, is the Vienna New Year’s Concert, known in German as the Neujahrskonzert der Wiener Philharmoniker which you’ll notice, is not quite the same thing. Although the origins date back to the nineteenth century the first modern-style New Year concert was held in 1939. Over the decades the concerts have grown in popularity and are currently broadcast live around the world to an estimated audience of more than fifty million people in ninety-three countries. On reflection it would probably be a bit of a challenge to name ninety-three countries. The concerts are held on the morning of New Year’s Day and always include a substantial number of pieces from the Strauss family but sometimes the music of other composers is included. Traditionally about a dozen compositions are played which include waltzes, polkas, mazurkas and marches and there are always encores at the end. A regular item on the programme is Johann Strauss II’s waltz The Blue Danube, more correctly known as An der schönen blauen Donau. The encores always include Radetzky March by Johann Strauss I, during which the audience enthusiastically claps along with the orchestra. It is a most unmusical habit but will undoubtedly continue for years until someone has the courage to put a stop to it. Willi Boskovsky achieved worldwide fame after he succeeded Clemens Krauss as conductor of the New Year’s concerts and his double role as violinist and conductor revived a tradition set by Strauss himself. The current practice of choosing a different conductor every year began in 1987 after a vote by members of the orchestra. The first of these stars of the podium was Herbert von Karajan who was followed by a succession of top conductors. The 2018 concert will be conducted by Riccardo Muti but in case you are wondering, the tickets sold out months ago. To celebrate this Austrian institution, I’ve chosen two pieces that were played at the first concert back in 1939. Johann Strauss II was also known as Johann Strauss Jr. and during his lifetime by the rather more glitzy title of “The Waltz King”. He was one of the most popular waltz composers of the era and toured extensively around Europe with his orchestra. He wrote over five hundred waltzes, polkas, quadrilles and other types of dance music. He also composed a ballet and several operettas one of which was Die Fledermaus (“The Bat”) which has remained popular ever since its first performance in 1874. As so often happens, this overture took on a life of its own and has become a popular stand-alone concert piece. This is a splendid performance from the 1989 New Year Concert which was conducted by the legendary Carlos Kleiber, who in my view was one of the great musicians of the twentieth century. He makes conducting look so effortless, yet this is “the art that conceals art”. 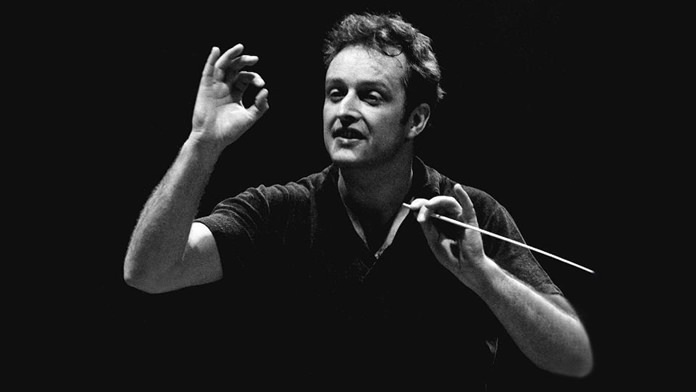 There’s a fascinating film on YouTube of Carlos Kleiber rehearsing this same work and it reveals the incredible amount of detailed care that went into the preparation of the performance. The Annen Polka was composed in 1852 and was written for the Festival of St. Anne (hence the name) and first performed in Vienna at the enormous municipal park known as the Prater. It dates from the time before Strauss had become a household name in Austria. He had made his debut only eight years earlier but was incredibly busy with various engagements. A year after the Annen Polka was written, Strauss suffered a nervous breakdown caused by the constant mental and physical demands. On the advice of doctors, he took a seven-week summer holiday in the countryside. This style of polka is evidently known in Vienna as a French Polka because it’s a rather more refined and dignified affair compared to its more raucous German and Austrian counterparts. This is an attractive performance, taken from the 2009 New Year’s Concert which that year was conducted by Daniel Barenboim. Notice how intuitively these superb Viennese musicians play the music. They’ve probably played it dozens of times over the years yet it somehow doesn’t lose its freshness and charm. If you feel inclined to attend a future New Year concert, you’ll have to apply on the Vienna Philharmonic website a year in advance. The demand is such that the tickets are drawn by lot. But if you want to sit in the best part of the house, a single ticket will set you back around Bt 42,000. That’s about ten times more than what I paid for my first car. But I admit, that was a good many years ago.